Dr. Dirks completed his medical degree at the University of Minnesota- School of Medicine. He completed a Cardiology Fellowship at the University of Minnesota and currently practices Cardiology at the Minneapolis Heart Institute on the medical campus in Crosby. Dr. Dirks patient philosophy is, “My fundamental interest in medicine has not changed since I started medical school. I have always enjoyed developing relationships with patients and working thoughtfully with them to meet their medical needs. Being a cardiologist in a nationally recognized group such as Minneapolis Heart Institute allows me to provide greater opportunity to meet patient needs.” He is Board Certified in Internal Medicine. 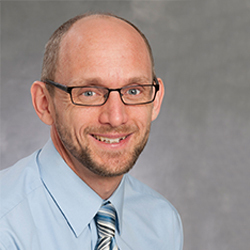 Dr. Dirks has special interests in echocardiography, nuclear medicine, and preventative cardiology. He joined the medical campus in Crosby in 2005.